Tinneke is the “star” of Belle Cheval. 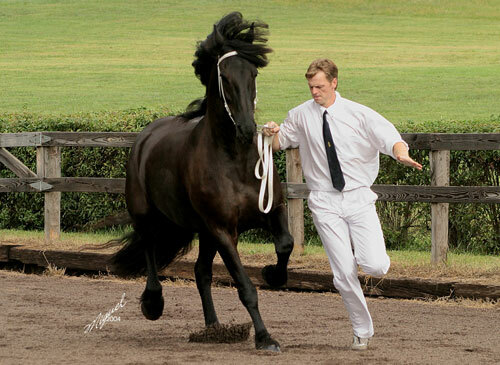 Out of a preferent daughter of Romke 234, a rare breeding line descending from the “fiery” Ritske, she epitomizes the coveted Friesian sport-horse type. She is our “It Girl”—tall and elegant with a magical, stallion-like presence. Her sire, Anne 340 Sport, placed 3rd overall at the 2000 FPS World Championships and is a top dressage horse. 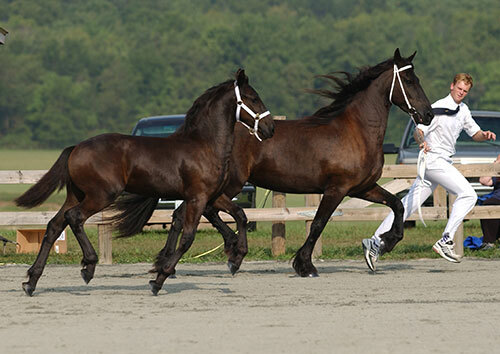 He is known for his fantastic trot, sweet temperament and show-ring charisma. 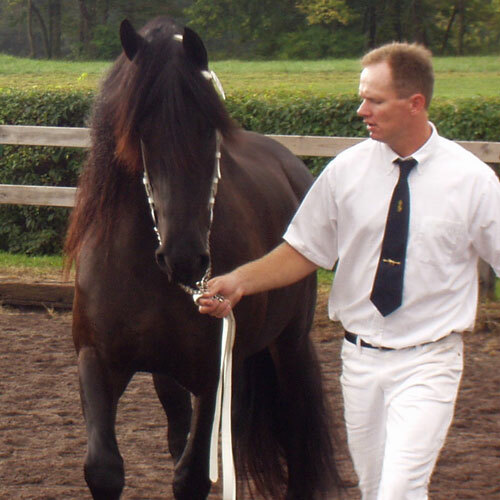 Bred to Maiko 373 when imported in 2001, Tinneke produced a gorgeous deep-black stud colt in 2002, our beloved Houdini. She was bred to 2005 World Champion Mintse 384 Sport for 2009 and gave us a tall, modern filly with her sire’s spectacular trot. She will be bred to Lolke 371 Sport this year.